Shopping on Instagram allows you market and sell products using the Instagram mobile app and is available to all WooCommerce store owners who meet Shopping on Instagram requirements. Many shoppers are visual, and this gives them a channel to engage, explore, and buy. This guide walks you through setup of Shopping on Instagram with WooCommerce in steps. Use our Setup Wizard to start a new store. Or ensure your current store is updated and ready for visibility on Facebook and Instagram. Add new products or manage existing ones. More at: Adding and Managing Products. Ensure that physical products to be promoted are in compliance with the Facebook Commerce Policy. Go to Facebook and Create a Page for your Business. Go to Catalog Manager and Create a Catalog. Add products to your Catalog. Less than 50 items: Manually create items in catalog. 50 items or more: Use the free Facebook for WooCommerce extension to Import Your Products to Facebook and auto-sync products via Pixel. Create a Product Set if there is a group of items you wish to promote together (optional; only if relevant). More at: Navigate Catalog Manager and Facebook Catalogs. Be located in a country where Shopping for Instagram is available. Countries approved for Shopping for Instagram. Create a new Instagram account for your business. Or convert your personal account to a business account. Connect your Facebook Page Catalog to your Instagram Business profile in the app. More at: Connect a Facebook catalog with an Instagram Business profile. Wait for approval from Instagram. This process takes a few hours or days. Once approved, a push notification appears. Congratulations! It’s time to start tagging. Use the Instagram app and go to your Profile. Select the Get Started alert or the gear icon. Go to: Shopping > Continue. Select a catalog to connect to your Business profile. Using the Instagram app, select a photo and add a caption, any filter or hashtag, as usual. Tap products you wish to tag. Enter names of products to tag, and select them as they appear in the Search box. 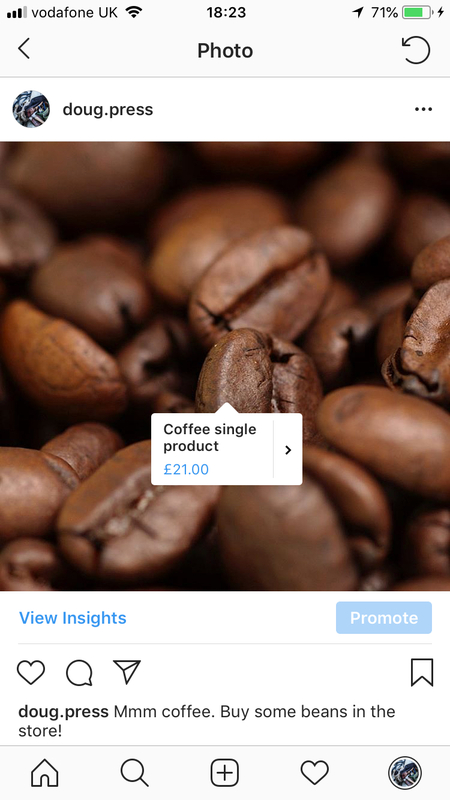 You can tag up to five (5) products in a single Instagram post or 20 products in a multi-image post. 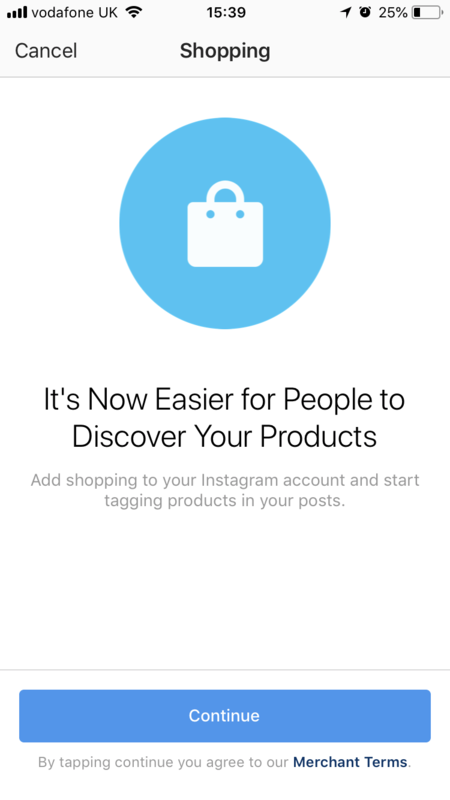 More at: Tagging Products on Instagram Posts. Here is a video of the process of tagging once you have a Facebook product source connected. If you have 50 items or less and are not using Facebook for WooCommerce, go to: Why can’t I tag products in my posts? If you have 50 or more items and are using Facebook for WooCommerce: Products are only available for tagging when Hide is displayed on your Facebook catalog. 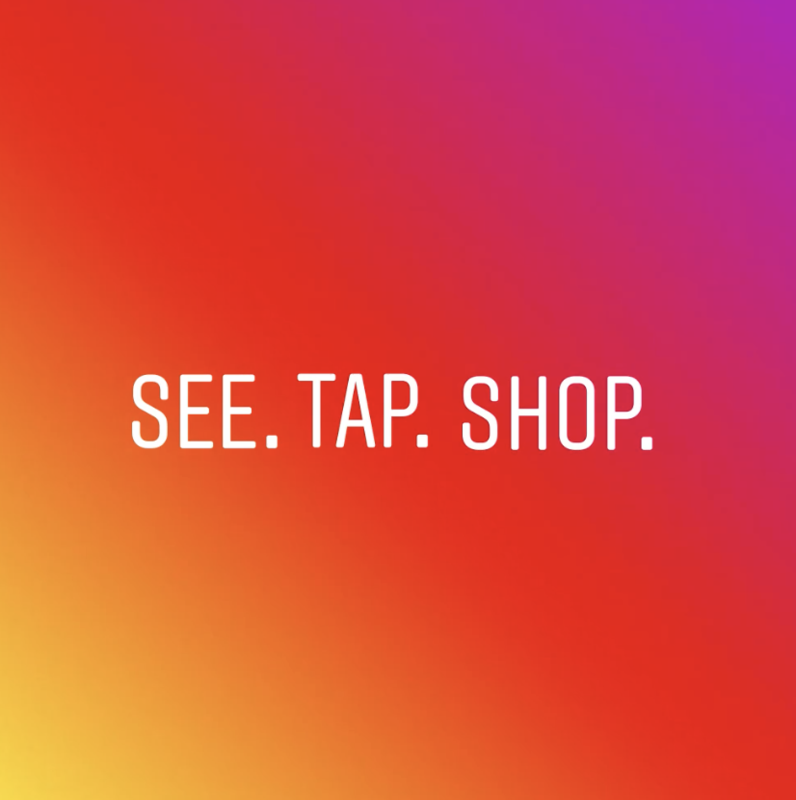 Shopping on Instagram is only available with the Instagram mobile app for now. Argentina, Australia, Austria, Belgium, Belize, Brazil, Bulgaria, Canada, Croatia, Cyprus, Czech Republic, Denmark, Dominican Republic, Ecuador, Finland, France, Germany, Greece, Hungary, Ireland, Italy, Japan, Korea, Latvia, Lithuania, Luxembourg, Malta, Mexico, Netherlands, New Zealand, Norway, Panama, Paraguay, Peru, Poland, Portugal, Puerto Rico, Romania, Slovenia, South Africa, Spain, Sweden, Switzerland, United Kingdom, United States, and Uruguay. New countries are added by Instagram at their discretion. If you do not see yours, check the Shopping for Instagram Countries. Yes, tapping the three dots on the top right of any image will bring up a menu. Select “edit” then tap the tag you want to remove. You can then add a new tag. Our Facebook for WooCommerce extension is “nice to have” to sync products between your WooCommerce store and Facebook. But for Shopping with Instagram itself, it’s not necessary; everything can be done manually. Facebook recommends using the extension only if you have 50 items or more. Read more at the Instagram Business site and Instagram Business Tools Help Center. Shopping with Instagram allows you to tag products to promote on Instagram and link back to your Facebook catalog. WooCommerce Instagram is an extension enabling you to display Instagram posts with a specific hashtag on your WooCommerce store product listing. More at: WooCommerce Instagram. WooCommerce.com is unable to offer help and assistance for third-party products. Why aren’t my products showing up? Why do desktop viewers not see any tagged products? Which countries is Shopping for Instagram available? Can I change a tag once the post is published to Instagram? Do I need an integration/plugin/extension to use Shopping with Instagram with WooCommerce? Where can I find more information about Shopping on Instagram? What the difference between Shopping with Instagram, and the WooCommerce Instagram plugin?